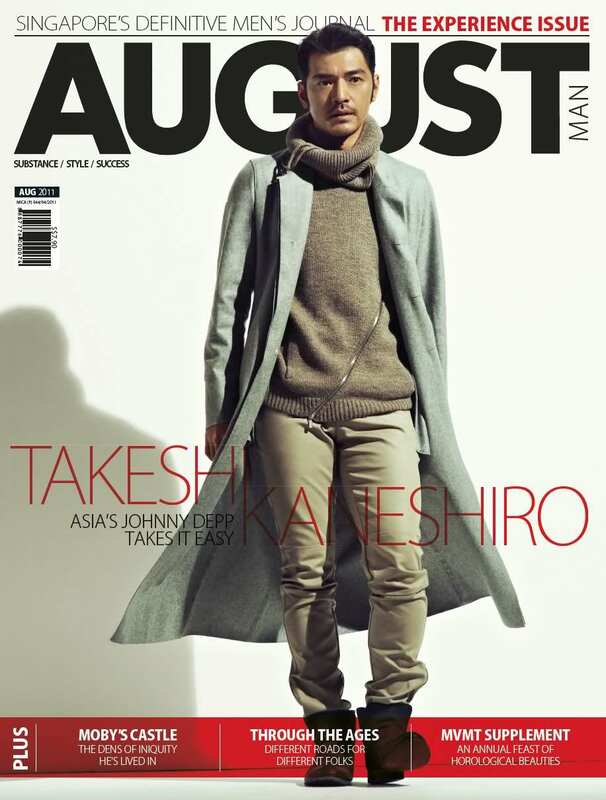 Our cover, Takeshi Kaneshiro, is someone who has constantly re-invented himself, not due to an identity crisis, but based on his past success and where it has led him. Forget his pop star crooner status, he is now a celebrity in his own right, a person who has come to terms with himself, spending his efforts on projects that matter to him. That, we suppose, is what separates the fleeting pop idol from the more iconoclastic term of ‘celebrity’ – experience. Love how he always looks calm and steady, like he knows where his life is going. What an inspirational man. Amazing! Takeshi’s so elegant. Thanks for post the mags where he appears and rest of info about movies and spots. Takeshi Kaneshiro is definitely one of a kind. I like Takeshi Kaneshiro, but these comments are too much! You’ll embarrass the dude. I just love how this man ages… *w* he’s truly like fine wine. Oh aniki ;3; you will always be my favorite actor. ALWAYS!! the first dress is better. the second seems the dress not belong to him. I think Asians can really be proud. 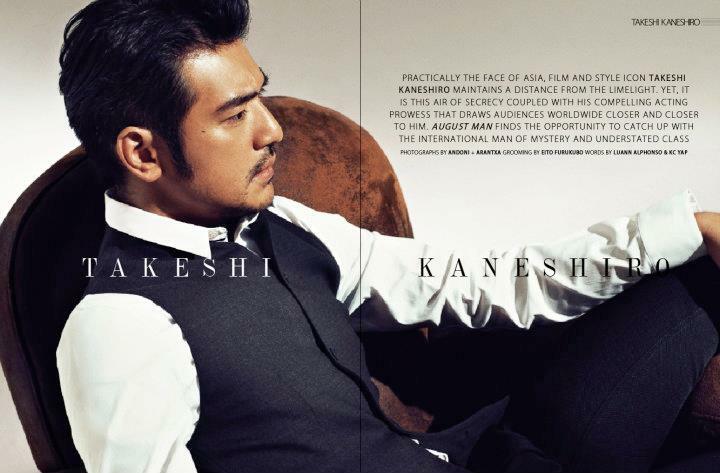 Takeshi Kaneshiro is definitely one of a kind. He gets better as time goes by, like wine, that’s for sure. Only recently I got to know his work better and I must say I’m very impressed. He’s not just beauty, he’s really good on acting. And singing. Still, this dude is humble. Def. one of a kind. Takeshi Kaneshiro, you should someday think of making a movie in Brazil (my country). Seriously, congratulations. You are amazing. Have you ever thought about including a little bit more than just your articles? I mean, what you say is valuable and everything. Nevertheless just imagine if you added some great photos or videos to give your posts more, “pop”! Your content is excellent but with pics and videos, this blog could undeniably be one of the greatest in its field. Very good blog! Hi there would you mind stating which blog platform you’re using? I’m planning to start my own blog soon but I’m having a difficult time deciding between BlogEngine/Wordpress/B2evolution and Drupal. The reason I ask is because your layout seems different then most blogs and I’m looking for something completely unique. P.S My apologies for getting off-topic but I had to ask! I’m curious to find out what blog platform you happen to be working with? I’m having some minor security issues with my latest site and I would like to find something more safe. Do you have any solutions? The basic principles of the watch that you could take pleasure in starting up today. It’s possible that You Also Make Some of these Slipups With bag ? Find who’s chatting about bag and also the reasons why you ought to be concerned. Checklist of beneficial practices to find out about watch before you are abandoned.